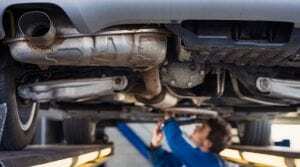 Are you looking for auto repair services for your vehicle in Dania Beach, Florida? You have reached the right place! Take your car to us for complete auto care and auto services at competitive rates. Tropical Performance offers you total repair services thus improving the overall efficiency of the vehicle. From simple oil change services to wheel alignments, we offer it all! We repair and schedule maintenance of domestic and foreign cars, whether it is a car, SUV, truck or fleet vehicle. Oil is necessary for your vehicle to run an engine to function. It provides lubrication to your vehicle’s engine. With time, it breaks down and becomes less effective in lubricating and can cause damage to your engine. Changing the oil of your car can prolong its life. Tropical Performance offers efficient and high-quality oil change service that complies with the safety and quality standards to our customers in Dania Beach. Total car care goes beyond just having your oil changed. Routine maintenance is also a part of preserving your vehicle’s performance and gas mileage. Our team of professionals is expertly trained and experienced to do every auto repair service efficiently. Additionally, they are ASE-certified and experienced with all makes and models including imported and hybrid vehicles. Conventional, synthetic, and high-mileage oil service is available at our shop. Contact us today and schedule your service! We believe in honesty, integration, and excellence, and we strive to provide that and more to our customers. We take pride in ourselves for providing excellent auto repair services efficiently and reliably in Dania Beach. We have the latest tools and diagnostic equipment making sure your vehicle is serviced correctly and efficiently. We rely on quality and high standard replacement parts, and our employees and technicians are ASE-certified and highly skilled who get the job done for you in no time.